Four Portuguese theatre groups, at four different places in Portugal improvise one story together, with unexpected twists and turns: The story of a wheel on top of a mountain. 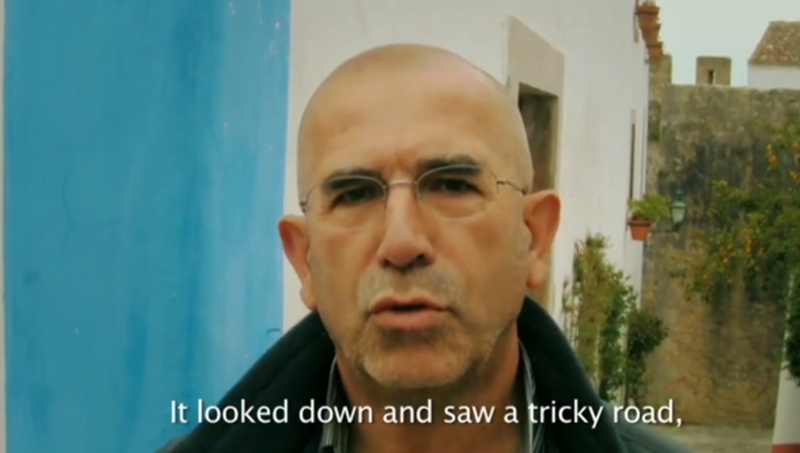 "A Portuguese Story" is part of a bigger project called "International Storytelling" where theatre groups from different countries continue telling each others story in their own language. So far the story has travelled to six different countries in Europe. The goal is to include six more countries.